As you get a better idea of your monthly spend you can easily update your budgets to better reflect this. 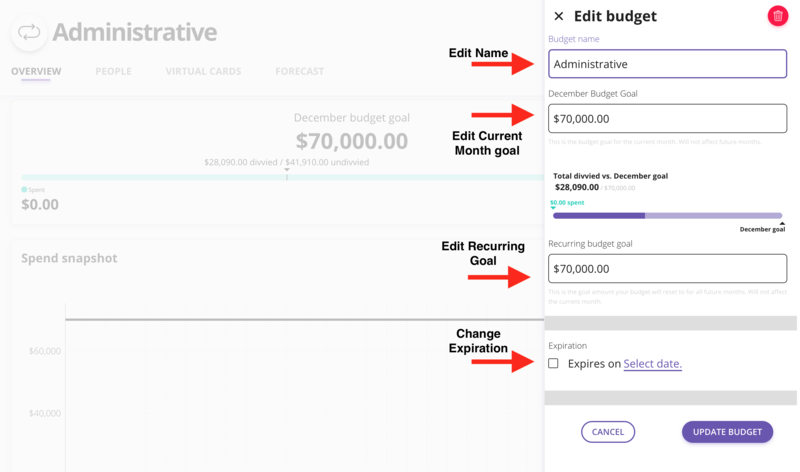 After navigating to the budget you're wanting to modify, go ahead and hit the purple edit button in the top right corner. From here you can edit the budget name, the current month goal, recurring goal, and the expiration. The recurring goal WILL NOT affect your current month's amount.